ashlee nicole spills | blog: Hip-Hop for Social Change Street Team Meeting. 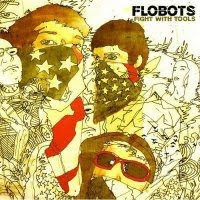 Flobots.org was started by number the #1 selling hip-hop band the Flobots to provide a forum for engaging their fans and other bands in social change. The mission of Flobots.org is to empower young people through music education and to create a civically engaged community of music fans working for social change. Flobots.org accomplishes this mission through two key programs: Fight with Tools Street Team and Live at DCH. What is the Fight with Tools Street Team? The Street Team represents an innovative model for engaging music fans in social change effortsusing music, technology, and popular culture. The Street Team connects bands, fans andorganizations to work together on a common goal – creating positive impact in localcommunities. The Street Team works with the Flobots and eventually other partner bands to recruit fans to commit to building their leadership skills and volunteering their time with partnerorganizations to make a difference in their community. The focus of Street Teams for 2008 is voter registration and getting out the vote. Our goal is toregister 10,000 voters. We currently have a national network of local Street Teams forming andworking in over 40 communities across the country. These local Street Teams are beingorganized by over 60 peer-leaders. To learn more visit www.flobots.org or www.fightwithtools.org. What can the Fight with Tools (FWT) Street Team offer my organization? The FWT Street Team provides a structure by which music fans connect with one another, buildskills and create change in their community. Fight with Tools Street Team volunteers are motivated, enthusiastic and ready to make a positive difference. FWT Street Team members receive ongoing coaching and support from the national Street Team Coordinator and support andencouragement from their local teams. Street Team members bring energy, dedication and time and can support your organization in reaching your target goals for voter registration and getting out the vote for the 2008 election. What is the role of a partner organization? We are looking for partner organizations that can provide local Street Teams with training onhow to do effective voter registration in their community and state. In some communities, partner organizations also receive and process the voter registration forms members gather to ensure compliance with state laws. In many states Street Teams have had incredible success withorganizing their own voter registration activities around concerts and other popular events. Inother communities, Street Teams volunteer at existing voter registration events already beingcoordinated by the partner organization. We seek to work with partner organizations to figure outwhat works best in each community.